...and why will I buy it again at a later date. I needed a new laptop, for some personal work. 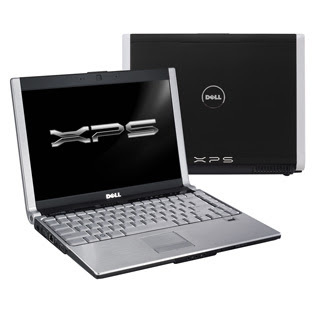 After a l-o-n-g research, I homed in on the Dell XPS M1330. The other runner-up was an Apple MacBook, but you get much more bang for your buck (memory, disk size, connectivity options) with the Dell. I skipped the video card, as Dell only offers the Nvidia 8400M - a card with a faulty GPU, that is currently being recalled by Nvidia. Instead I stuck to the onboard Intel X3100 option. For OS, you're pretty much stuck with the Vista Home Premium. You can downgrade to XP on your own, but I'm not sure Dell provides all the XP drivers. Besides, the Home Premium version comes with the Media Center option, allowing easy access to your media and easy connection to your TV and Xbox 360. 3 years at home warranty. All this cost me $1550 - including taxes. And it arrived a week ahead of schedule. About a week after starting to use the XPS, I started experiencing blue screens. I've narrowed it down to the graphic component driver. After spending the better part of 3 hours with Dell Support on the phone, going through the same problem resolution steps I've gone through on my own, I was offered a new laptop - or my money back. Since it was during that week that Intel came out with the new Centrino 2 processor family, which provides better battery life, and better wireless range, I decided to get my money back, and try again later, when the XPS will provide a Centrino 2 configuration. In the meantime, I've started checking for possible replacements. I may go with the Lenovo X200 (the X300's smaller and cheaper brother) instead of the Dell. But if the price is right and the components allow for the same deal, I'll grab the XPS again. I figure the blue screen issue is a fluke that can just happen to any laptop. Pros: Light, durable, nicely designed, good performance (when not crashing). Great screen and colors. Cons: Tiny touchpad (certainly smaller than the D620's) and located off center. Got only a 3.1 score in the Vista Experience Index - just like my old D620, despite having the latest and gretest whistles and bells (probably the onboard graphic card killed the score). The Dell support line is not a great experience either (I could have told you that before). They kept misplacing my machine's tag and I had to re-identify myself (name, phone, email) again and again to people who couldn't assist me at all. Every call had to start from scratch. I just hope I won't really need them. But I figure other companies' support lines are the same - all outsourced to Asia, manned by people who could care less about your problems (they didn't even try to convince me to keep the laptop - they just gave me the money back. Customer retention is probably not incentivized).